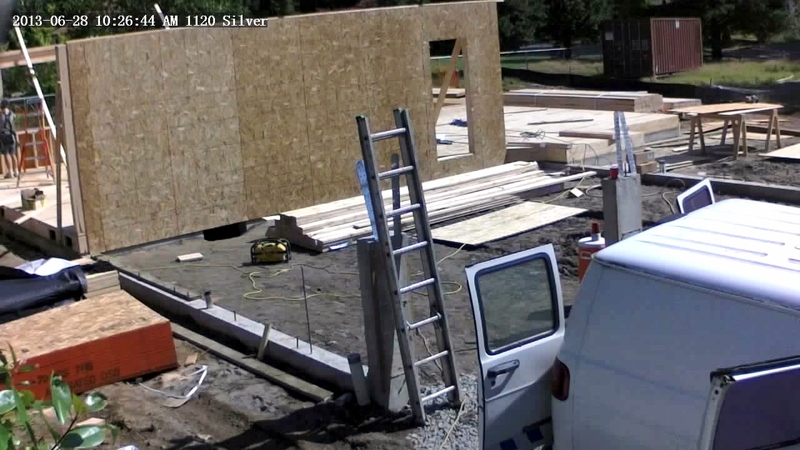 Two very talented and fast working framers erected the front and back walls of the main structure this morning. Using a device called a wall jack, they lifted a fully-framed wall that is about 30′ long and 10′ high. This entry was posted in Construction and tagged framing, photos, progress. Bookmark the permalink.